Should You Sign a Porsche Macan Lease in Estelle, LA? If you’re thinking about getting a new car, you may be wondering the best way of going about paying for it. You have a few options, and you may not know which one will work best for you. For example, you could finance your vehicle. Some people in Estelle, LA, even want to pay for their cars upfront with cash. But how about signing a Porsche Macan lease? Signing a lease is a fantastic way to get into a car you want to drive without having to spend as much as you would if you were to buy it. Take a look at some of the benefits of leasing before you make your decision, and you can be more confident about whatever you decide to do. One of the main draws of a Porsche Macan lease is the fact that you won’t have to pay as much money for your car upfront. When you finance a vehicle, you will have to put down a significant down payment. This can really present a problem for some people who don’t have the money to just spend all at once. However, you don’t have the same problem when you lease. You can put down a much smaller down payment. Sometimes, you won’t even need a down payment at all. That makes leasing a lot more accessible for some car buyers out there. When you buy a car in Estelle, LA, the maintenance is entirely up to you. You have to handle routine maintenance checks, as well as fix anything that goes wrong. For some people, this can be overwhelming. But when you lease, you may not have to do as much when it comes to maintenance. Instead, the dealership you get the car from is likely to cover at least some of your maintenance costs, including oil changes and routine checks. That way, you may not have to spend as much money on maintaining your vehicle, which is one less thing you have to worry about. Generally, when you choose a Porsche Macan lease, you won’t have as much of a commitment as a car buyer would. Why? Because your lease will probably only be about three years long. After that time, you don’t have to worry about the car at all. You simply take it back to the dealership and get something new instead of having to sell it. Come to Ray Brandt Porsche to talk to a financial expert about signing a Porsche Macan lease. 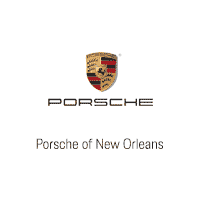 0 comment(s) so far on Should You Sign a Porsche Macan Lease in Estelle, LA?